Welcome to Shine Dentists, Franklin! When you ring us to book your visit, we’ll discuss what you’d like to schedule for. Then, the appropriate booking will be made with the right dentist to fit your needs. When you arrive, we’ll ask you to fill out some forms in our comfortable waiting area. Then, you can relax and look through a magazine or newspaper until it’s time for your appointment. If you’re bringing in your child, they have a play area with toys that will keep them busy. Then, you’ll meet with your dentist for a full examination, including pictures and X-rays if they are necessary. We’ll show you the pictures and discuss what we believe is the best course of treatment, detailing all your options. We’ll then begin treatment and go over any future services needed. You can book for any future appointments and be on your way, with your visit kept efficient. We welcome health fund coverage and process claims immediately with a HICAPS machine. 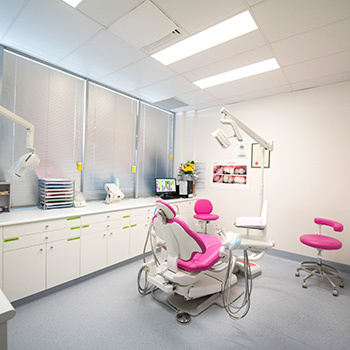 We’re providers with several, including HCF, Westfund, CBHS, Veteran Affairs and Medicare (Child Dental Benefit Scheme). Contact us today to schedule your time with our gentle, caring team! We offer same-day visits for immediate attention.